Septic system installation in Polk City, FL is best left to professionals, such as our experienced technicians at William Dustin Septic. As the number of DIY TV shows and online tutorials has increased over the past few years, more and more property owners in Polk City, Florida are looking for ways to save money by taking on home renovation projects. While this can certainly be a good way to pinch a few pennies while improving your property value, one area that you should never delve into without experience is plumbing, especially if you currently have or are looking to add a septic system. 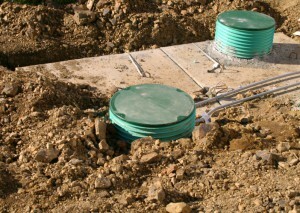 Septic system installation is best left to professionals, such as our experienced technicians at William Dustin Septic. If you try to take on a septic system installation project by yourself, you will soon find that you are in way over your head. Unfortunately, this decision can lead to serious environmental and health consequences, since a septic tank stores and processes waste and contaminated water than can then move through the pipes and into the drain field for re-entry into the ground. When our team members come to your property for septic system installation, we will make sure we choose a tank that accommodates the needs of your property. A tank that is too small will quickly become overloaded and back up, while a tank that is installed in the incorrect area can become cracked and damaged when cars drive or park on top of it. There are many moving parts at work when you flush a toilet, do laundry, or wash dishes, so avoid mishap by leaving the septic tank installation and maintenance to our pros at William Dustin Septic.